“Logically, if private banks have a higher retirement age, it can be argued that their public sector counterparts should also have the same. Besides, the government faces difficulty in filling the top slots. It will be difficult for the government to have a separate policy for PSBs and other public sector units,” said Karthik Srinivasan, senior vice-president at Icra. Noting that the present decade till 2020 is a ‘decade of retirement’ for a large number of experienced executives in PSBs — a term coined by the RBI a few years ago — the committee said “the pinch of the loss of officers with professional depth and experience is already being felt”. While recruitment at the junior level is taking place, there has been a slowdown in hiring recently, coupled with “the attrition of officer staff”, which has led to a shortage at the middle and senior levels. The Indian Banks’ Association (IBA), in its submission to the committee, termed the issue of succession planning as a “very big challenge” for PSBs, fuelled by competition from other banks, non-banking financial institutions and fintech companies, and lower remuneration. 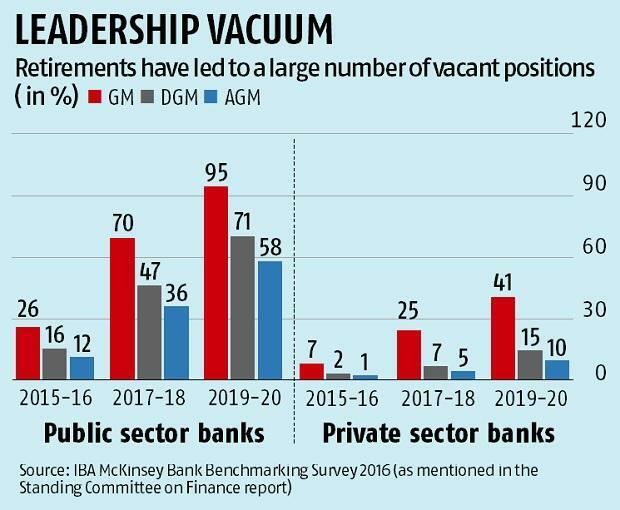 In PSBs, 95 per cent of the general manager (GM)-level employees, 75 per cent of the deputy GM-level employees, and 58 per cent of additional GM-level employees are going to retire by 2019-20, the committee noted. “These senior employees carry with them exposure, experience and wealth of knowledge about clients and other business-related information. The retirement of these employees will create vacuum unless an institutionalised framework is put in place to pass on this wealth of knowledge to the next level,” the IBA said. Several PSBs under the RBI’s prompt corrective action (PCA) highlighted the retirement of executives at various levels as one of the major challenges before them. While Allahabad Bank said “huge retirements” were leading to loss of experienced employees, Bank of Maharashtra submitted that these were causing a wide gap in the middle and senior management grades. “The absence of middle management could lead to adverse impact on banks’ decision-making process, as this segment of officers played a critical role in translating the top management’s strategy into workable action plans,” IDBI Bank said. The tenure of B Sriram, who was earlier managing director at State Bank of India, is set to end in September. 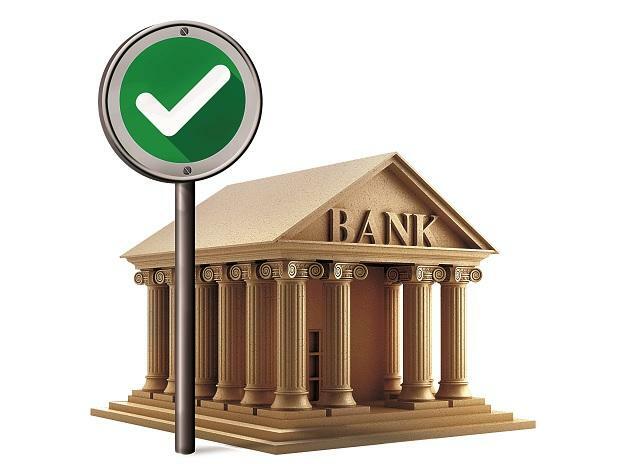 The committee, chaired by Congress leader Veerappa Moily, presented its report, ‘Banking Sector in India – issues, challenges and the way forward including non-performing assets, stressed assets, financial institutions’, to Lok Sabha Speaker Sumitra Mahajan on August 31. As many as seven PSBs are without CEOs at present. While Andhra Bank, Punjab & Sind Bank, and Dena Bank have not had a CEO since January, Central Bank, Canara Bank, Allahabad Bank, and Bank of Maharashtra are also headless. Besides, more than half a dozen CEO positions and 20 executive director posts will fall vacant this year. In June, the Banks Board Bureau recommended 15 people to fill up the post of MD and CEOs and 22 candidates for EDs in PSBs. A senior finance ministry official said a clearance from the vigilance department was pending at this stage, following which the names would be recommended to the Appointments Committee of Cabinet (ACC) chaired by Prime Minister Narendra Modi to take a final call.